When I first saw Scotch eggs on the menu of an Irish pub a few years ago, I’ll be honest, the description both fascinated and horrified me. 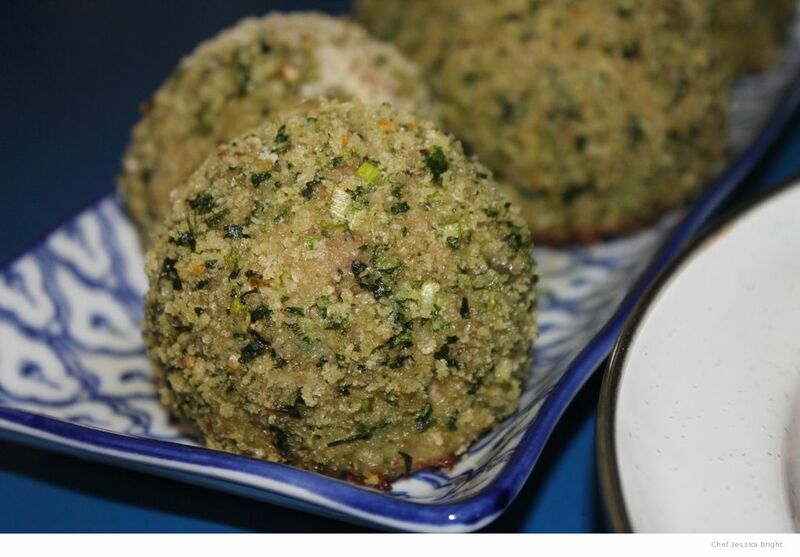 This rich dish is traditionally made by surrounding a hard boiled egg with sausage and breading then deep frying it. Though the traditional recipe has many enthusiasts, I came up with this baked, greener, option that I’m calling Irish eggs in honor of St. Patrick’s Day. Because they aren’t fried they are quite a bit healthier and you can use pork, chicken, or turkey sausage to suite your preference. I hope you find them tasty! 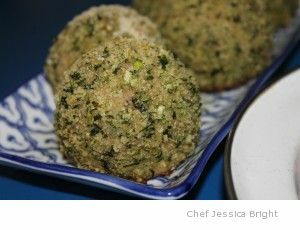 Unlike traditional Scotch eggs; this similar recipe is baked not fried and includes fresh spinach and green onion. In Great Britain these are a popular pub and picnic food. My version of Scotch eggs, baked not fried! Preheat oven to 400° F. Peel hard boiled eggs. Combine panko crumbs, spinach, and green onion in food processor and pulse until consistently chopped and evenly colored, set aside 2 TBSP of this mixture. Divide sausage into six portions. Completely enclose one egg in one of the meat portions. Roll eggs in the prepared panko crumbs. Place on a baking sheet and repeat process with remaining eggs. Bake 400° for 20 minutes. Check eggs and repair any cracks in the coating with the reserved crumb mixture. Bake an additional 5-10 minutes, until the sausage is cooked through. Combine the mustard and remaining ingredients and serve with eggs as a dipping sauce. « Coco-mocha Cookies—Easter nest cookie treats with coconut oil, chocolate, and macadamia nuts!